MEDELA milk bottles are especially designed to meet the needs of mothers and babies during nursing. Contains BPA-free material. Mother's milk is important for your baby's development. If you are careful, all natural vitamins and nutrients are preserved. The right choice of milk bottles for storing mother's milk is therefore very important. 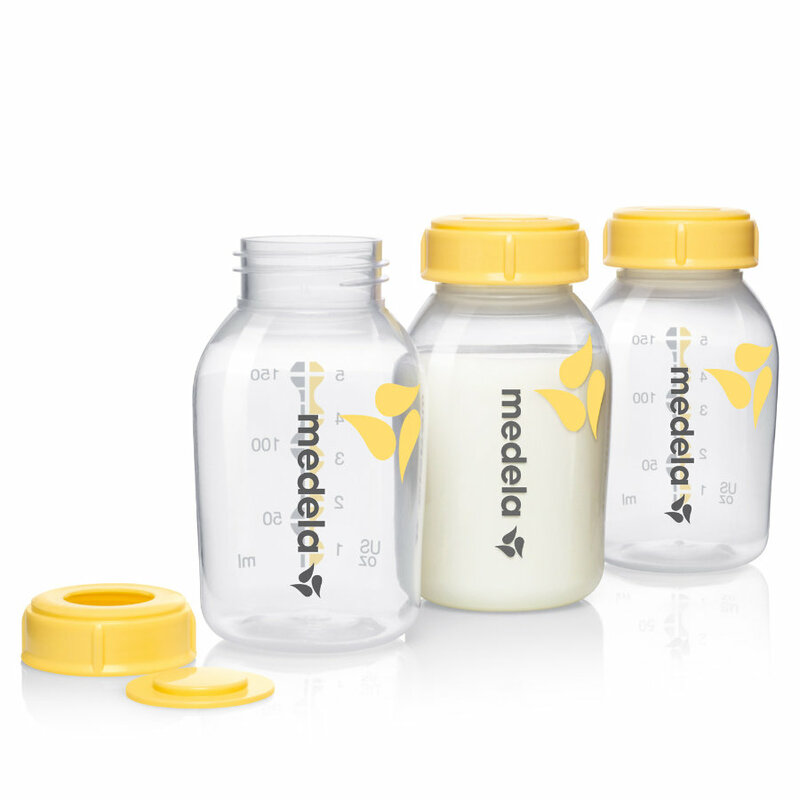 MEDELA has always made milk bottles form BPA-free material. MEDELA milk bottles are designed for safe and long-term storage of mother's milk. You can pump mother's milk for your baby directly into the milk bottles and store them for the next meal. This means: No drip of milk gets lost and you save time washing up. Of course all milk bottles are shatterproof. • Safe: BPA free for your baby's health. • Flexible: ideal for collecting, storing, freezing and feeding. • Efficient: not a single drip of the valuable milk gets lost. • Easily cleaned. Dishwasher-proof and microwaveable.